South Korea and the United States are scheduled once again to discuss military cost-sharing issues next week in Hawaii. A five-year agreement determining the cost burden for stationing American forces in South Korea expires next month. 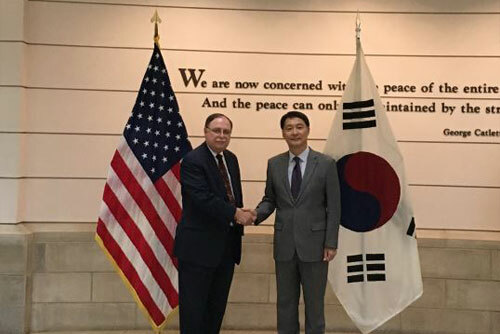 In eight previous rounds of talks to renew the agreement, South Korea has turned down a U.S. request to pay "operational support" costs for the deployment of strategic assets against North Korean threats. In next week's ninth round in Honolulu, the two sides are likely to seek a basic agreement on costs, contract period and annual increase rate. This year Seoul is paying 960 billion won to support the 28-thousand-500-member U.S. Forces Korea. That's about 856 million dollars.